Sometime in 1997 our English cousin Barry WILKS (son of Violet BAKER) contacted Donald CALWELL (son of Annie Elizabeth BAKER) to see if it would be possible to meet some of his Australian cousins. On 28th February 1998 a social gathering was held at the home of Mary Rae nee SANDERS (daughter of Edith Joyce BAKER) and the family members who were able to attend met with Barry WILKS and his wife Valerie. During family discussions over glasses of champagne (made and kindly supplied by Dale BAKER (son of Robert Large BAKER), the writer offered to ‘have a look’ at the family’s history. Fairly soon after this gathering of relatives I began to investigate the BAKER family. This led to my involvement in a study of the family history of the BAKERS of ESSEX, UK. Late in 2005 I decided to call a halt to any further investigation. It was time to concentrate on consolidating the research gathered so far. Starting with the birth of William BAKER b1753 in East Bergholt, Suffolk, the story runs through the first male born of each generation (with the exception of Samuel BAKER JNR b.1809 who immigrated to Canada). Ironically, Alfred BAKER was born on the 14 August 1853 at Tilbury Hall, Tilbury, Essex exactly 100 years after William. 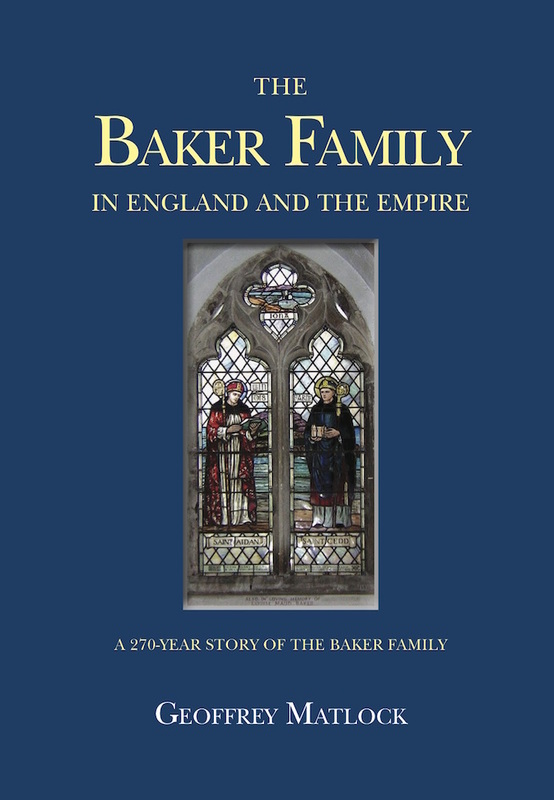 This research covers the BAKER history from William BAKER b 1753 in East Bergholt, to the eventual arrival of the majority of Alfred BAKER’S (b 1853) family in Australia. Alfred being the grandfather of all those I group as “my cousins”.